Competition Good or Bad for Children - Winning isn't Everything! Is Competition Good or Bad for Children? Is Competition Good or Bad for Children? – Winning isn’t Everything! Lets’s face it most parents want their children to be great at sports and want them to be winners. However as the saying goes “It is not the winning but the competing”! In my experience ‘is competition good or bad for children’? Bad! As a teacher I’ve seen many parents point out their child’s lack of skill or mistakes for not winning. The frustration in many parents is obvious to me which is why I wanted to write this article. Parents will often make excuses for their children not winning by blaming the coach/teacher/referee and equipment. I have seen parents behave dreadfully on the sidelines when their child is loosing a race or not playing well in a team game. On the other hand when they win or play well they are jumping through hoops and bragging to all and sundry. Does Competition Help Self Esteem? Personally I think it is bad! No child wants to loose, I see it everyday in school but then some actually take onboard they need to improve or try something different. I have watched children in all kinds of games and I see most of them just want to win. By focusing soley on performance they are not going through any process that will help them develop naturally. Another way of looking at it is that when a child is used to winning (myself included when I was in Primary school) they can be crushed when they get defeated. This can lead to a lack of confidence as they begin to question their ability, and identity. Winners in my experience get into a mindset that stays the same. When I went to secondary school my winning crown was quickly taken away and I learned a hard lesson. But then my father was a football coach and was very pushy for me to win all the time. Competition can be cruel at times and can create an unwilling chracter. Winners are also more likely to cheat. So ask yourself is competition good or bad for children? The mindset of a usual winner will limit their creativity and curiosity. This can also have a diverse effect and they will feel that if they can’t win why try. If a child is very competitive they will become unpopular and not seen as a team player. 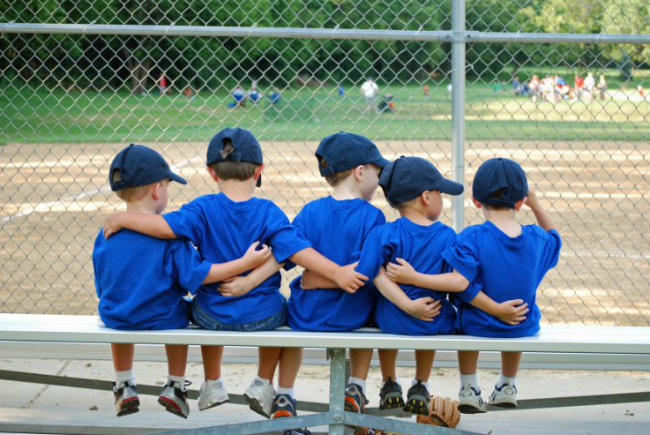 It is very important for children not to alienate themselves from developing friendships and team building. When you look at a game of tennis the players take many risks to win which creates a fun and exciting game. So, for me a child can achieve more in trying to improve and do well rather than just wanting to win. At Kidsoft our aim is to bring news and advice for parents, teachers and managers alike!